While many of our clients are headed to Italy and Spain this summer, we want to make a case for Portugal, specifically its capital city of Lisbon. Whether you've got a trip planned in the near future or you're brainstorming about where to spend a long weekend this fall, our mini guide is a must read! 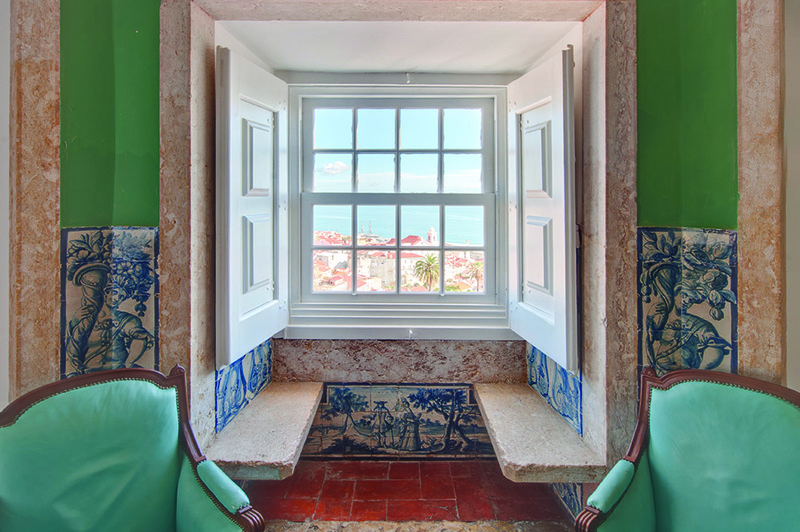 Palacio Belmonte: This 14th-century palace turned boutique hotel is a design dream, complete with original architectural details, massive suites and a gorgeous garden and pool that feels like a countryside oasis in the middle of Lisbon's bustling Alfama district. Four Seasons Hotel Ritz Lisbon: A setting in a quiet residential neighborhood makes the Four Seasons a perfect base for those who prefer to be beyond the crowds thronging the main sights. The rooftop pool is a major plus as well. Book through Passported for complimentary breakfast, a $100 spa credit, complimentary wifi and an upgrade at check-in subject to availability. Mercado da Ribeira: Combining a traditional market and cool new food hall in one, the Ribeira Market is a must-do. Arrive early to see the traditional food vendors and fish mongers before hopping around the various eateries to try different food. If you're a die-hard foodie in search of a food tour, make sure to contact Celia Pedroso. O Prego da Peixaria: a hip sandwich shop that will make you rethink that you ever thought a Philly Cheesesteak was the best steak sandwich around. Pharmacia: head to this chic eatery right by the Museu de Farmacia for tapas and cocktails. Mini Bar: helmed by one of the city's coolest young chefs, Mini Bar is top of the list for adventurous foodies and a Michelin star winner. Chapito: this circus school is also home to two restaurants, a more casual patio downstairs and the more formal (but never stuffy) upstairs dining room, which boasts some of the best views over the city. Landeau: chocolate cake and coffee, do not miss this gorgeous cafe. Santina: this famous ice cream shop has an outpost in the Mercado as well as a gelateria in Chiado. Sol e Pesca: A cute cafe with amazing smoked fish and other Portuguese bites, everything is served from tins. It’s on the famous Pink Street, which used to be Lisbon’s red light district but now is a major nightlife destination for bars and cafes. A Vida Portuguese: An amazing place to pick up accessories, food, home decor, even beauty products all made in Portugal. If you're a shopper, make sure to leave room in your suitcase for all the things you are likely to find here. They have a shop in the Mercado da Ribeira as well as a stand-alone store. LxFactory: An industrial space turned destination for shopping, eating, and Portuguese culture. If you happen to be in Lisbon on a Sunday, check out the market here. Burel: Beautifully designed woolen scarves and bags. Trolleys or Tuk Tuks: Everyone tells you to ride a trolley. While not the most riveting experience (and you'll find long lines and pickpockets), it is good for a photo op. But if you're willing to opt out of the traditional route, tuk tuks are way more fun. Praca do Comercio: Walk along the waterfront esplanade here and grab a drink at a cafe. The restaurants are touristy and overpriced, but it’s great for a wander and photos. S. Jorge Castle: This ancient castle on top of one of the hills has gorgeous views, though lines can be long so come early. Belem: This famous tower that’s in every photo you see of Lisbon is a must for every first-time visit. Families with more time should also check out the aquarium, but if your cramming everything into a weekend, mainly just wander and enjoy! Check out our other city guides!